People not only want to stay healthy but they also want to develop and maintain a great personality. Beside many factors, good strong hairs add a positive impact on the overall personality of the people. Many people use Shilajit for hair treatment. Before explaining the effect of Shilajit on hair, let us first understand the composition of hair. The hairs grow from the cavity/glands on the skin called follicles. There are two parts of the hair: (a) The root part stays inside the follicles or skin and (b) the part that comes out of the skin is called hair shaft. The hairs get their food (nutrients) at the base of the roots. This part is called hair bulb. The 91% of the hair is a protein which is made up of long chain of amino acids. These amino acids contain oxygen, sulfur, nitrogen, and hydrogen. Although Shilajit contains over 80 minerals, some of these minerals/substances that are beneficial in the growth of hair include Fulvic acid, sulfur, zinc, magnesium, vitamins, and iron. The cells in the follicles get damaged due to different environmental conditions including toxins and heavy metals. The Fulvic acid has the tendency of chelating these heavy metals, thus lowering their rate. Moreover, the Fulvic acid has the characteristics of dropping the food materials deep inside the cells by making the cell walls flexible enough to pass the food and the required minerals. Thus we can say Fulvic acid has an overall positive effect on hairs. Iron plays a major role in hair growth. A body requires iron to produce hemoglobin in the blood. Hemoglobin carries oxygen to the body. The oxygen is used in the growth and the repairing of the body cells. These cells include the cells that stimulate the hair growth. 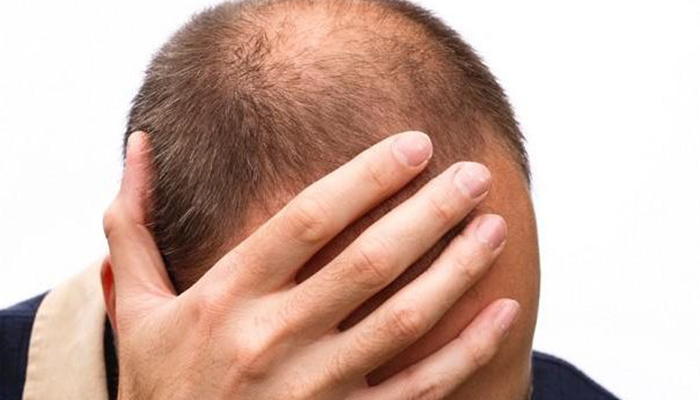 According to a journal of Korean medical science, people suffering from the deficiency of iron may experience the hair fall similar to the genetic baldness. 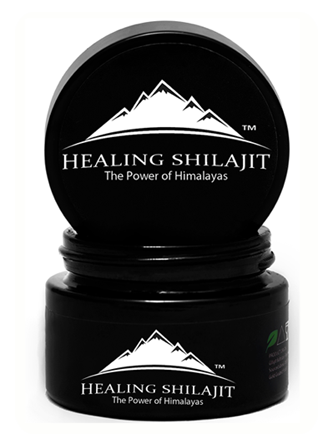 Since Shilajit is rich in iron, it can help in avoiding the iron deficiency problems. People who have good ratio of iron can have better hairs. Sulfur is the main ingredient in the hair composition. It is not only involved in the hair building process but it also ensures the strength and length of the hair. In many traditional hair growth recipes, we have witnessed people using onion and garlic since they contain sulfur. Therefore it can be safely assumed that using Shilajit can help people growing new hairs which should be long and strong. Zinc plays an important role in hair growth. People suffering from zinc deficiency may suffer deterioration in the protein structure. The damage to the protein structure may result in damaged, less, or no production in hair follicles. No follicles mean there are no hairs to come out of the body scalp. Therefore having a balanced zinc ratio in the body helps in growing good hair through protecting the protein structure. Magnesium plays a vital role in hair care. We often see calcium buildup on the scalp which clogs the hair follicles. The can damage the hair follicles causing hair loss. The magnesium on the other hand makes sure the calcium does not get clogged on the scalp; rather it should circulate and be used in the body where it is required. Magnesium also helps in protein synthesis. Since hairs are made up of protein, this ability of magnesium makes it so vital in hair growth and hair life cycle. Shilajit contains good amount of magnesium that can help in achieving these functions. The use of vitamins is no doubt very important in hair growth and their long life. We often notice different hair shampoos and conditioners recommended by dermatologist are made of vitamins. 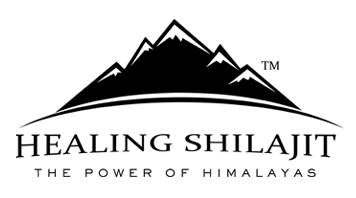 Since Shilajit is rich in vitamins, it can be used as a supplement to get all the vitamins that are required by the hairs. It is a blessing for humans that all the aforementioned minerals and vitamins required for hair growth, hair strength, and hair life are present in a single substance called Shilajit. If you get a good quality Shilajit, then you can have good healthy hairs. Don’t use the fake products labeled as Shilajit. They will either harm your body or they will have no positive effect on you. Only use naturally extracted, standardly purified, and gold grade Shilajit for better results.